CWX Tactical Fitness by V1 FITNESS. As real as it gets tactical shooting. Fast paced, high adrenaline private training. Who is CWX training for? Anyone looking for action and adventure fitness training in Limassol. Learning to shoot with BB guns is safe and a lot of fun. The drills you will be practising are very similar to that of professional private military contractors, the only difference, the firearms we use are Co2 powered replica guns that fire non lethal BB's. NOTE: Cyprus law does not allow the use of real firearms tactical training, all our training is conducted with Cyprus licensed REPLICA guns that fire BB's only. 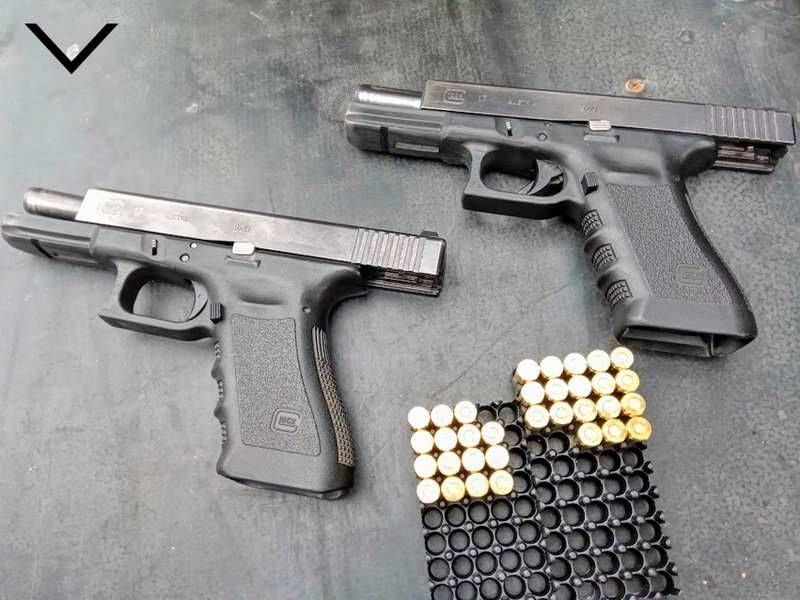 The picture and videos of our real firearms training (AK-47, AR-15, Glock 17) is conducted in Poland where we train several times per year. Live firearms tactical training, Poland.